Hi-Tec will be launching the Sierra light hiking outdoor boot in 2012, an evolution of the 1976 Sierra model, which at the time changed the athletically inspired outdoor hiking footwear market, says Simon Bryant, global range manager for Hi-Tec. The Sierra collection, which will be a lifestyle and hiking range, consists of a Vibram outsole and an ortholite footbed, which is moisture wicking, stops smell and helps create comfort. Whereas the Sierra collection is currently only a men’s footwear collection, Harmony will be an women’s-only range designed by women consisting of sandals, mid boots and low cut footwear. 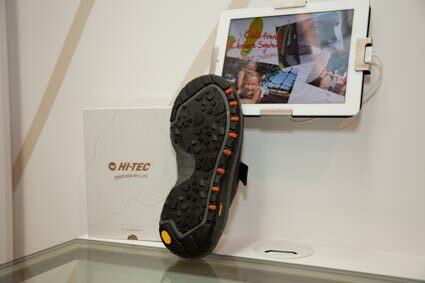 Hi-Tec and Vibram partnered to create a sole exclusively for Hi-Tec that consists of a rugged vulcanised rubber area surrounding an inner outsole area with activity-specific traction. 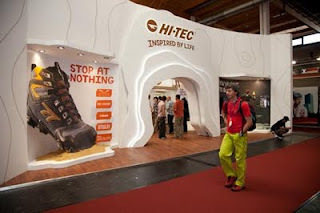 Hi-Tec will be expanding their Infinity collection to lower price-ranged trail shoes — a shoe with the same outsole as the Sierra and another bottom-end shoe with a skimmed Vibram outsole that is a little chunkier and heavier and has an EVA wedge (not the Phylon that the top-end Infinity shoes have). 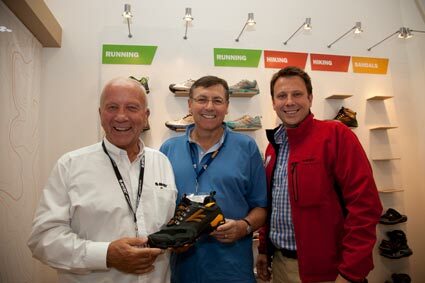 “Infinity running is a strategic group of shoes for us from a branding as well as performance point of view and will remain our pinnacle footwear range which will help sell the rest of the lower end Hi-Tec ranges,” adds van Wezel.